Iruka means dolphin in Japanese, Iruka Shuttle is the best cost-performance Tokyo airport(Narita/Haneda) door to door charter bus transfer service in Japan. Narita/Haneda Airport-Main Tokyo (23 wards) and Kansai KIX airport-Main Osaka door to door charter bus. The cheapest charter bus/transfer/pick up/drop off service in Tokyo. Fixed flat rate. More convenient, more secure, more comfortable. Please read more to get more detailed information. We provide 6 seats Alphard (Max for 5 pax and 5 luggages, optimal for 4 pax and 4 luggages) van and 9 seats Haice (Max for 9 pax and 9 luggages, optimal for 8 pax and 8 luggages) van shuttle bus with insurance. It is only for your own group, no need to share with other people. Please contact us to confirm availability before you book. Please book at least two days ago. We have 24 hours price from Narita airport to Main Tokyo hotel, Airbnb. There are two basic bus type. 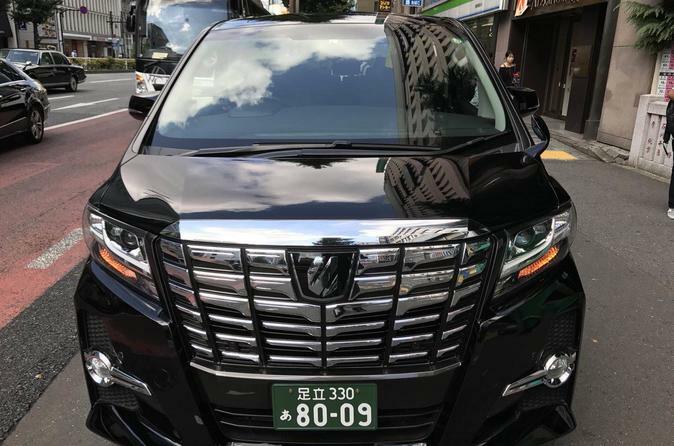 One is business level 7 seats Toyota Alphard, which is optimal for 4 people and 4 luggages. Max 5 people and 5 luggages is ok but crowded. Another is 10 seats Hiace, which is optimal for 9 people and 9 pieces of luggages. This price is for 7 seats Alphard. You can order a Hiace with another item. The cancellation within 36 hours will be charged 100% of transfer fee, no refund. Cancel up to 1 Day and 12 Hours in advance for a full refund. If there is no show, we will charge 100% transportation fee, there is no refund.